Your Privacy on the Internet is of the utmost importance to us. Because we gather certain types of information about the users of our site, we feel you should fully understand the terms and conditions surrounding the capture and use of the information. This privacy statement discloses what information we gather, how we use it, and how to correct or change it. Questions regarding this statement should be directed to Nation Safe Drivers at 561-226-3600 for clarification. Nation Safe Drivers gathers two types of information about users: data that users provide through optional, voluntary registration of the Nation Safe Drivers Online services and through optional, voluntary participation in message boards, chats and surveys as well as certain contests and sweepstakes. This information enables Nation Safe Drivers to better tailor our content and services to our visitors needs. Nation Safe Drivers may perform statistical analyses of user behavior in order to measure relative consumer interest on various services (for product development purposes) and to inform advertisers as to how many consumers have seen or "clicked" their adverting banner. In performance of these statistical analyses, we will disclose information to third parties only in aggregate form. Personal information on individual subscribers and advertisers will not be provided to any third party. Nation Safe Drivers may send out emails to users that have opted in for an online service to announce special offers, services and announcements from our site and/or advertisers. 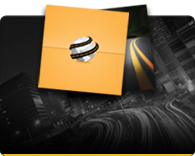 Nation Safe Drivers is not responsible for the content or privacy policies of Web sites to which it may link. Please keep in mind that whenever you voluntarily disclose personal information online for example on message boards, through email or in chat areas- that information can be collected and used by others. In short, if you post personal information online that is accessible to the public, you may receive unsolicited messages from other parties in return. Furthermore, while we strive to protect your personal information, Nation Safe Drivers cannot ensure or warrant the security of any information you transmit to us, and you do so at your own risk! You are solely responsible for maintaining the secrecy of your password and/or any account information. 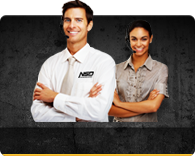 NSD offers certain products and services that may be accessed via a toll-free number. 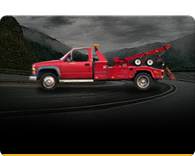 These services include but are not limited to our 24-hour Dispatched Roadside Assistance. Mobile phone users on AT&T, Boost, Cricket, Virgin Mobile, Sprint, T-Mobile, Verizon, Telus, Rogers, Bell, SOLO, PC Mobile, Koodo, and Fido Solutions Networks may elect to allow us to use data received from their mobile phone networks to assist in pinpointing their location. By opting in for this service NSD will have the ability to get the most precise location available from your mobile phone carrier. This information is used strictly to assist our dispatch coordinators with sending services requested by YOU to a specified location. 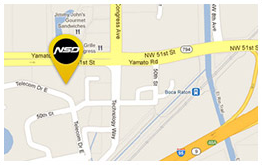 This information only serves to assist in mapping your location and is overwritten within our dispatch application. Mobile phone user is automatically opted out after the end of the call and mobile phone's location cannot be obtained again after this point.